Cool colors and innovative grip design. 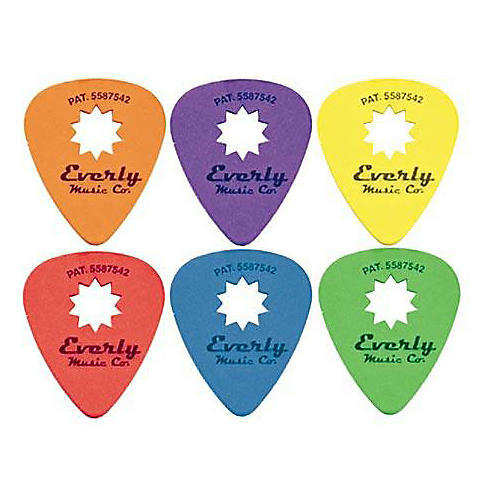 The new Everly Electric Star Pick uses a standard shape but goes a step further with the Sure-grip design. It makes sure that the pick stays where it's supposed to - right at your fingertips! Set of one dozen. No more guitar picks flying everywhere. Don't waste your time without the best. Put a pack of the Everly Star in your hands today!